Healing crystals have been used for centuries to harmonize, balance, and stimulate our energy. 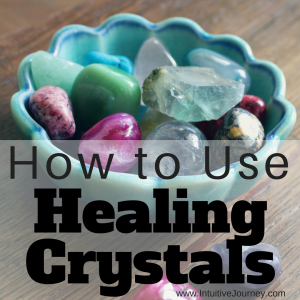 Crystal healing can be a simple and rewarding method of aiding physical and mental trauma. There are specific ways in preparing and using crystals to help gain the most from their power. The process can be learned by anyone that chooses to use the earth as a natural alternative to chemical-laced drugs. Having a clear purpose in your mind is the first step in using crystals for healing. The vibrational frequency that you attract will create a bridge to power of the universe. Be direct in your approach for aid. Focus on a particular issue and keep it foremost in your mind. You can use a mantra for repetition or write down your wishes so that your mind does not stray from your intent. There are many different crystals that can be used in creating a healing atmosphere. The energy properties held without each one can offer powerful vibrations. Having a basic knowledge of what specific stones have to offer can help you to make a compatible choice. After limiting your crystals, your intuition is the best method in selecting the right stone for your individual purpose. For instance, some stones promote balancing the chakras while others have a reputation for relieving stress. Being ungrounded or experiencing bad vibes can also be controlled by using certain crystals. Many times, it is not a matter of selecting the right stone. It will select you! Visit a store that has high-quality crystals and allow your intuition to do the rest. You can use crystals in your meditation or wear on your body as jewelry. However, you wish to use your crystal in healing, always make sure that these stones have been cleansed so that they are able to adjust to your energy field. Crystals hold an electromagnetic field that need to be cared for and respected. The earth has allowed you to be a part of their most treasured beauties, crystals. By cleansing the stones, you keep them free from the outside energies of others and the atmosphere. Here are some ways to purify your crystals to make sure that they are cleared for each use. Set out in moonlight or sunlight for 24 hours. Take care with crystals that are photosensitive as they may fade in color. Hold under flowing water, preferably from a natural stream or spring. If tap water is all that is available, visualize the imperfections of the water being whisked away. Use the smoke from incense or a smudge stick in the same manner you would to heal a room. Ask for support in your specific journey with your crystals nearby. State your purpose and the person being treated. You should only use specific stones for certain treatments after obtaining this bond. Keep them away from other stones that have been programmed for other purposes. Once your crystals have been cleansed and programmed for healing, prepare them for your specific purpose. They will hold a charge throughout the healing unless an outside force in introduced. Meditating to your higher spirit guide for help in the cause at hand will further their positive energy. Some stones are used in healing spaces, some for lifting emotional barriers and others for treating physical ailments. Laying of stones is common for bringing balance to the 7 chakras that control certain parts of the body. Learning the best stones that match each chakra can produce even better results. Once you are experiencing the ultimate energy from your crystals, you are able to have a higher sense of purpose and can begin placing them on your body as you meditate. Either place close to chakras that you wish to improve or on an affected area of physical problems or pain.